Send in a $1 and your child will receive a note and a scented Pencil. 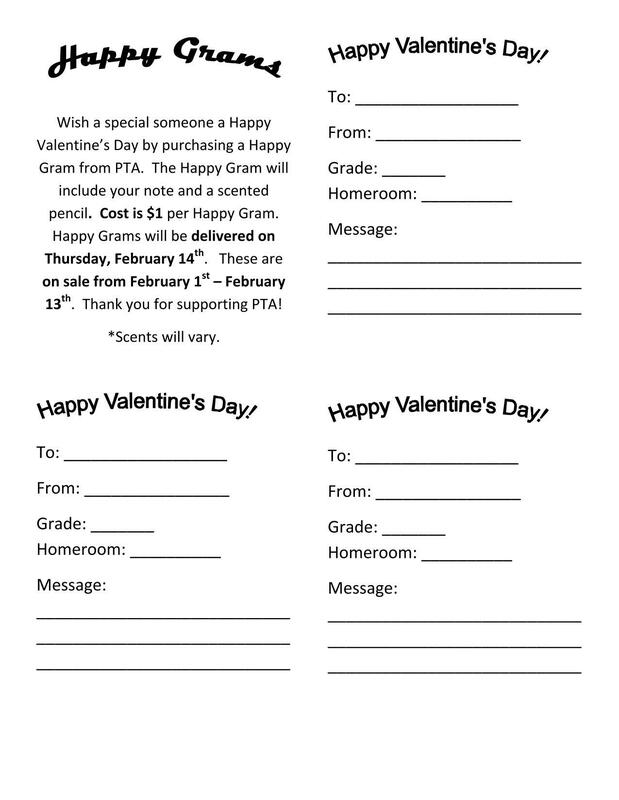 YES PTA is selling Happy Grams through Feb. 13. They will be delivered to the students on Valentine's Day. The cost is $1 and the students will receive a scented pencil. Thanks for supporting the PTA!